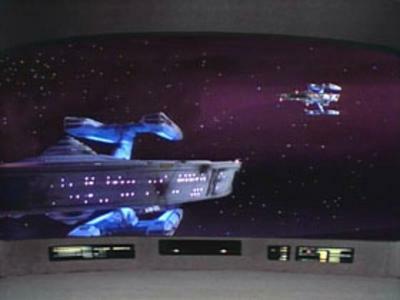 The Picard Maneuver, as seen from the opposing ship. The ugly bags of mostly water check out the sand-creature. Worst Missed Opportunity: I don’t blame the writers of “Conspiracy” for never coming back to the parasite creatures (although they did return in the DS9 re-launch novels), but here we had a great episode with really ominous ending that was never paid off. Fans wanted to know what happened to those aliens for years, but no future episode ever returned to what was quite a fallow field. As a big fan and a big Trek geek, I was really disappointed that I had to wait so long. 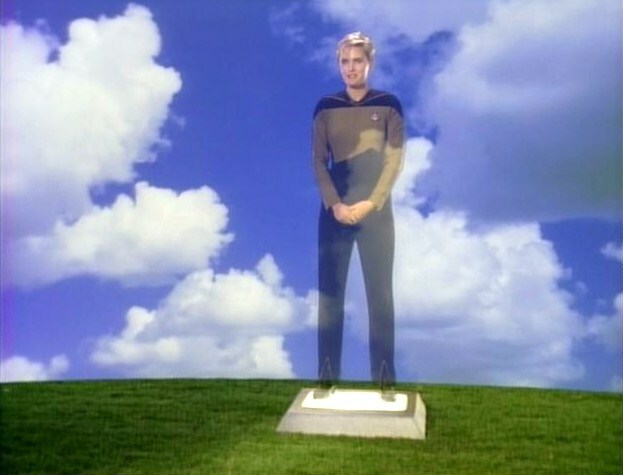 I wonder how often Starfleet officers update their funeral messages. Strangest Thing: The way Tasha’s death was handled, I think, was actually pretty good overall. But back in the 80s, story arcs weren’t a thing that was done, not over multiple episodes like they should have. Contrast Tasha’s death with Jadzia’s — in the first three episodes of the final season of DS9, all the characters had to deal with that, and even on Enterprise there were longer arcs. 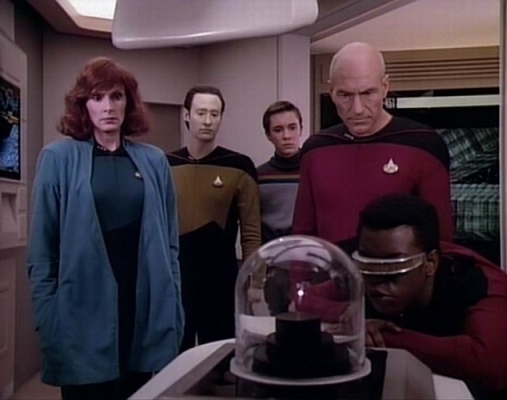 I really would’ve liked to see the characters dealing with Tasha’s death — Worf getting promoted or told to be security chief, Geordi and Data commiserating, Troi losing her friend… but instead the only real reactions we got were in the tie-in novels. Click here to read more 25 Days of TNG posts.